RUSH: Hey, I forgot to mention that PBS Frontline has done a… What is this? A series on John McCain, a profile of John McCain in which your beloved host is blamed for everything McCain did wrong. I am blamed for calling McCain a RINO (when he isn’t), I am blamed for forcing McCain to choose Sarah Palin as his vice presidential nominee, and I am blamed — because of all of this that I did to McCain — for laying the groundwork for Trump. Now, all of that is coming up. We’ve got audio sound bites of that as well. And the narrator on this show really sounds dark and sinister. These PBS people, these NPR people, they’ve got the dark, sinister narrator act down pat. RUSH: This, ladies and gentlemen: Frontline has a bio of John McCain, and this bio blames me for labeling him a RINO, blames me for forcing McCain to choose Sarah Palin, and accuses me of having laid the groundwork for Donald Trump to run and get the nomination. NARRATOR: (sinister music) More challenging, McCain had to win over the Republican voters who had rejected him last time. NEWT GINGRICH: He decided that to become the nominee, he had to make peace with the Bush wing of the party and with people who are avid Bush supporters. And he set out to do so. NARRATOR: They called him a RINO. (dramatic pause) Republican In Name Only. RUSH ARCHIVE: He’s going to reach out to Democrats. MATT BAI: How’s this guy gonna unite his party? What’s he gonna do? Rush Limbaugh is out there on the radio every day telling people they’d be crazy to vote for this guy. MATT BAI: It was probably the rashest decision that John McCain and the people around him ever made. The truth is, they didn’t know enough about her other than the fact that she excited the base. RYAN LIZZA: They didn’t realize that she would be this populist crusader and turn into a sort of right-wing, grassroots populist. PETER BAKER: Palin’s arrival on the scene is the opening chapter, in a way, of the transformation of the Republican Party into the Tea Party movement. The idea that we are going to reward our people who want to blow up the system, who are bomb-throwers, who are, uhh, firebrands, who appeal to anger, who appeal to grievance. RUSH: I hate to tell these guys — and it’s no disrespect Sarah Palin — but she had nothing to do with the Tea Party. That’s Obama. Obama started the Tea Party with the Obamacare, the massive spending and so forth. Let’s see. Do we have time to squeeze in one more? Yeah, we do. When McCain lost, it was my fault, and the future of the world was altered forever. RUSH ARCHIVES: His campaign never had a prayer, and everybody knew it from the get-go. RUSH ARCHIVE: I’m glad at least he didn’t blame Palin. RUSH: So you see how this is shaping up? You see how this is shaping up, folks? 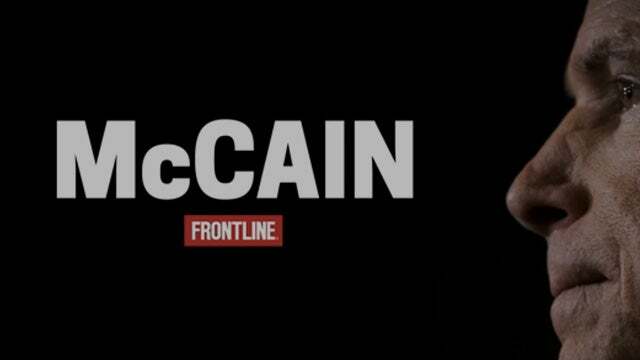 I am the villain in the dark and sinister profile of Senator McCain that aired on Tuesday night on PBS. RUSH: Okay. Here’s the final bite where the entire piece is leading, the profile of McCain on PBS on Tuesday night. In this bite, you will hear me, you will hear the narrator, Sarah Palin, and the narrator a lot of times. RUSH ARCHIVE: A giant step backwards in race relations. NARRATOR: …the populist anger Sarah Palin had tapped into (dramatic pause) exploded into the Tea Party movement. The politics of grievance and resentment that McCain had resisted were on the rise. McCain could only watch as the changes in the Republican Party culminated in a crucial moment in 2016. RUSH: (impression) “Right, and what was that crucial, ahem, moment in 2016? Does anybody recall what the crucial moment in 2016 was?” (Gasp!) We won! We won. The crucial moment was: We won. (impression) “And of course on PBS, this is a catastrophe, a crisis (gasp!) all brought about by Rush Limbaugh’s unfair treatment of the American hero named John McCain.” I’ll tell you something, folks. Not once after the nomination and after the campaign began did this program do anything other than criticize Obama. I didn’t jump on the nominee! Of course, that stuff happens during the primary process. But not in the general. Not in the general. I had all these Republican fundraisers… I’d run into ’em on the golf course. In fact, I spoke to a bunch of ’em once. I was asked to speak at a very, very elitist club out in Palm Springs — and to play, I had to speak to their group. So I decided to do it, and McCain’s finance director was in the audience, and it was during the primary period. I was expressing my problems with McCain essentially not being conservative enough and relying too much on the media which I thought was gonna come back and stab him in the back and all that stuff. “But you’re gonna end up supporting him, right?” Big eyes. “So you’re gonna end up supporting him, right? I mean, everything’s gonna be okay? You’re gonna…?” “If he’s the nominee, damn right!” “All right, then! All right!” and he starts slapping me on the back. Anyway, it is kind of fun to relive the history, but look at the way PBS puts this all together. And make no mistake: The darkness and the sinister atmosphere created here, to them it’s art and it’s purposeful.